Maximiliana "Anna" Montoya was Maria Martinez' sister. Like Maria she learned the traditional way to make pottery at an early age. 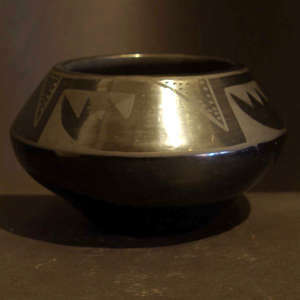 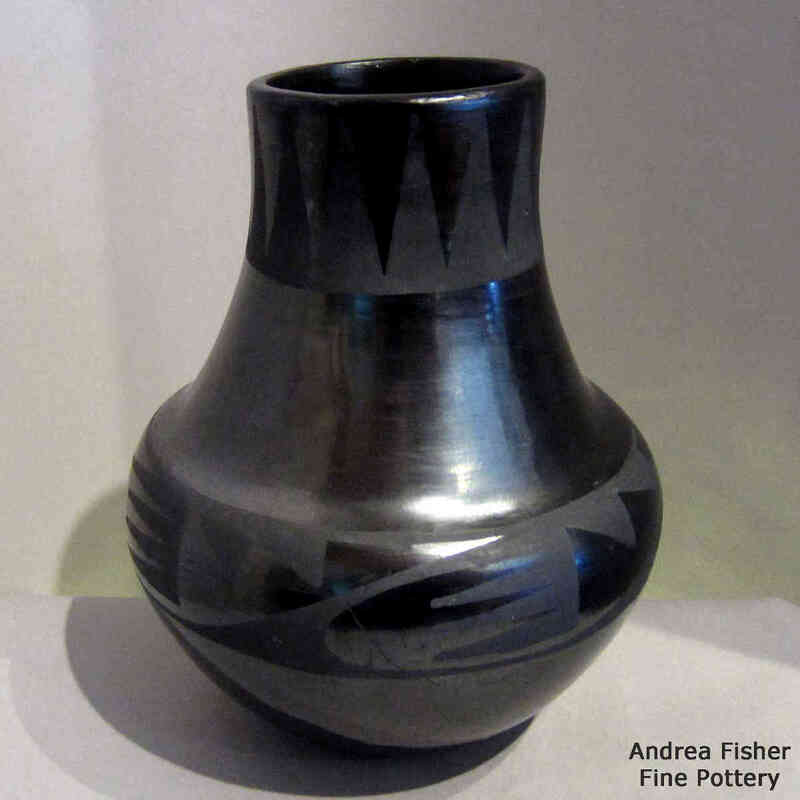 She worked with Maria often over the years, making pots, polishing them and painting them. 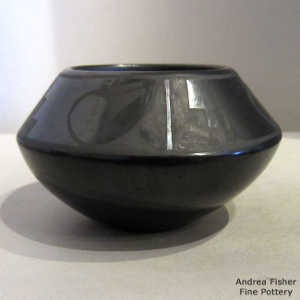 Maria was heard to comment often about other well-known potters wanting Anna to paint for them, too. 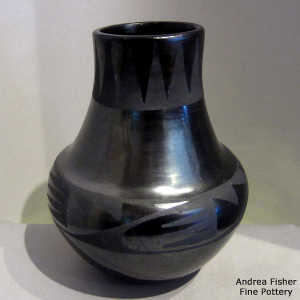 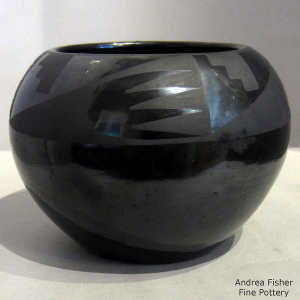 Anna usually made black on black pots but she developed different forms and designs than what Maria and Julian were making.